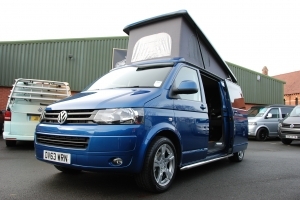 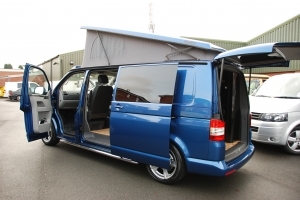 Alun uses his van for camping and as an office! 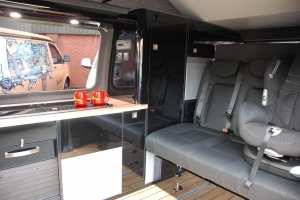 He went for the Reimo Classic elevating roof/roof bed, Remio Variotech Triostyle seat bed and the DW black gloss furniture kit with glass worktop. 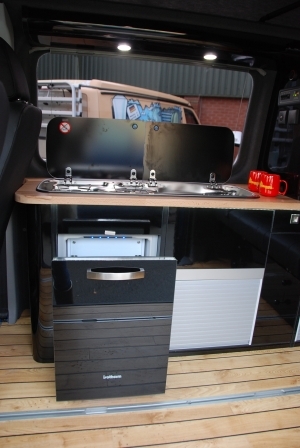 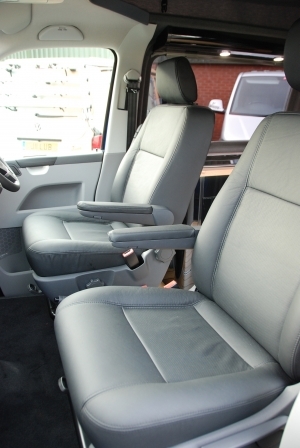 The van is also kitted out with a Smev sink and hob, Webasto glass drawer fridge and diesel heater!